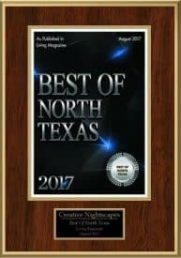 North Texas is one of the better places in the country to grow a diverse garden. The combination of mid- to upper-temperatures — without being too tropical — allows gardeners to grow a wide range of plants. The region does have some downsides, though — namely, the excessive summer heat and sudden winter ice storms. Because of these harsher conditions, it’s best to find plants that work well with the main weather phenomena, especially those plants that have been bred specifically for yards in the north part of the state. North Texas has a wonderful climate for plants that attract and feed bees and butterflies, which are essential for pollination. Cercis canadensis var. texensis, or the Texas redbud, is a small tree or shrub that grows up to 20 feet high and provides abundant nectar for bees and butterflies. Rosemary (Rosemarinus officinalis) is another good pollinator that thrives in North Texas (even though it is a non-native plant), which also has the benefit of providing a great herb to add to dishes. Other good pollinators include the shrub Mahonia trifoliolata, sunflowers, lantana, phlox, purple coneflower, and many, many more. The balmy summer nights in Texas are perfect for outdoor lounging and entertaining. Gardeners can add to the ambiance of their nightly gatherings by planting a moon garden filled with white- and silver-blooming plants that shine in the moonlight. Moonflower vine, appropriately enough, is a perfect plant for this garden, as are white lilies and daisies, and grasses like Japanese silver grass. The lights in your yard, when placed correctly, can also illuminate flowers in different colors, like four-o-clocks. Don’t forget that the plants in your garden will often have to deal with triple-digit temperatures and unexpected droughts. Salvia farinacea — also known as a Henry Duelberg plant — is very heat- and drought-tolerant. Lacey oak (Quercus laceyi) and Chinkapin oak (Quercus muehlenbergii) are drought-tolerant native trees that you can plant. One thing to look out for with all drought-tolerant plants is moisture levels: ensure that these plants are placed in well-draining soil and are of a variety that can handle humidity without having too many fungal problems. Why not give some room in your garden to a rare plant? North Central Texas gardeners can plant the Texas gold columbine — a cultivated columbine that is derived from the very rare Hinckley’s golden columbine (Aquilegia chrysantha var. hinckleyana), and which grows in only one spot in Texas. The Texas gold variety is a beautiful perennial even when it isn’t blooming — and when it does bloom, it does so for months. This is a hardy plant that deserves more room in Texas gardens. Who said your garden had to be all flowers? Texas has a very long growing season, despite the occasional ice storms. Many vegetables have two potential growing seasons per year, in spring and fall. Grow everything from beets and beans to tomatoes and turnips. Start small if you’re not used to handling vegetables, and maybe look at container gardens at first. But once you get the hang of it, make the transition to raised beds that can provide much of your vegetable intake for the year. Be aware that the heat and humidity in Texas can also promote pests, so be vigilant and look for varieties that are less susceptible to problems. Also take the time — if you’re near wooded or undeveloped areas — to erect fencing to keep out deer. The citrus trees you can plant in North Texas are no longer restricted to south Texas grapefruit. Several satsuma mandarins such as ‘Orange Frost’ have been created specifically for cold-hardiness (and deliciousness), so people in the northern part of the state have a chance to grow a wider variety of citrus. And, if you can create an appropriate microclimate in your yard that adds a little warmth, you can try several varieties of lemon, lime, kumquat, and orange. In all of these categories, Texas gardeners have an advantage thanks to Texas A&M’s AgriLife Research, which has created several varieties of plants known as Texas Superstars. These varieties have been cultivated specifically to deal with the harsher temperatures of Texas, from the winter cold to the awful heat. Gardeners can choose from flowering plants to fruit trees and more; for example, Satsuma ‘Orange Frost’ and Texas gold columbine are both Superstars. Your garden will look lush and productive during the day, but what about at night? 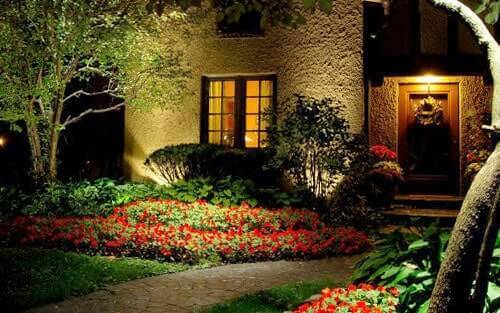 Proper lighting from Creative Nightscapes can make your garden glow. Whether you want to showcase your moon garden or show off your columbines and redbuds, Creative Nightscapes can add appropriate lighting that provides you with a lovely landscape.